Care for all the animals with the Vet Visit Carry Case. This easy, take-along case has everything kids need to tend to sick pets and help them heal. 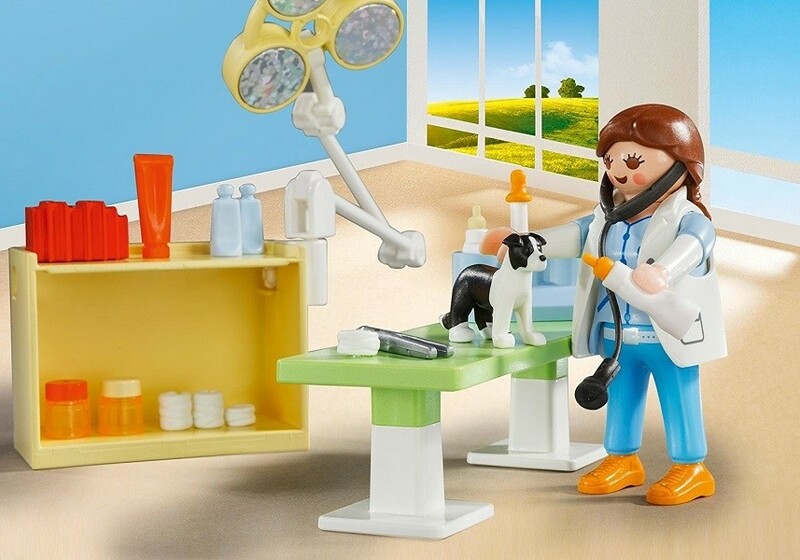 This set includes one figure, two dogs, one cat, an exam table with lamp, a stethoscope, medical tools, feeding bottles, medicine, bandages, and tons of other accessories. 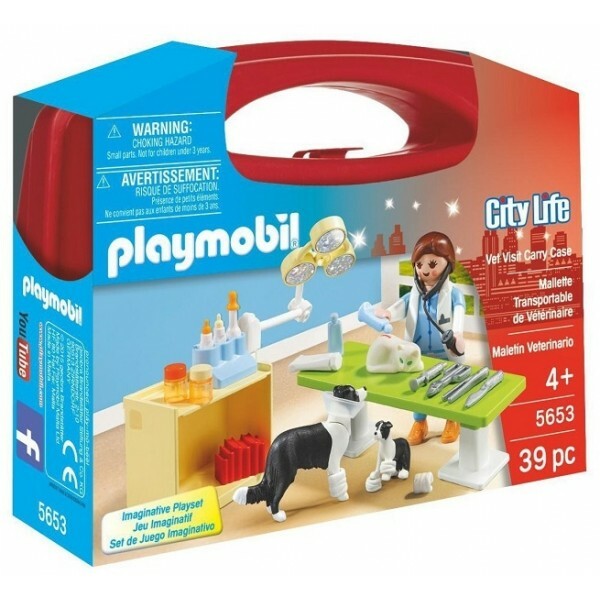 When playtime is over, simply store the pieces inside the case for next time! 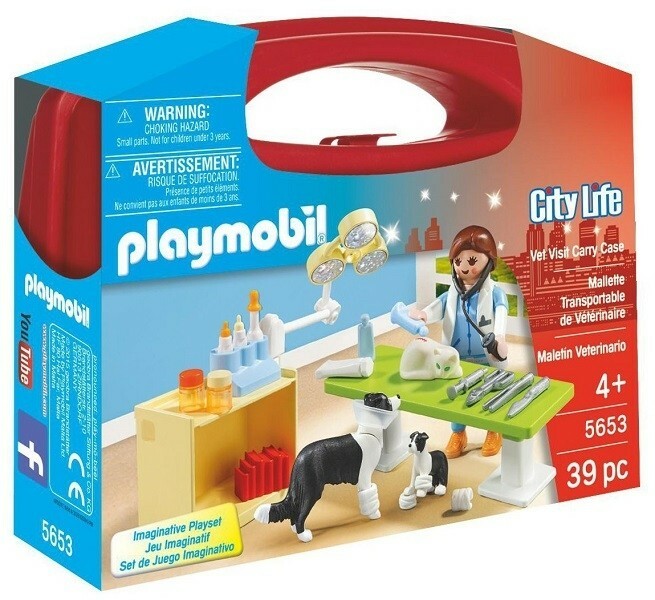 Playmobil manufactures 95% of its toys in Europe, with new product lines, based on both real life and fantasy, being released every year. Their emphasis on being culturally sensitive and gender neutral make them a popular toy with parents everywhere.